Easily one of the most popular sports in the world, NBA basketball was just getting started on its road to absolute craze when Midway’s classic title, NBA Jam, released to arcades in 1993. Arriving on the heels of the Mortal Kombat and Street Fighter II craze, NBA Jam used a graphical style that was reminiscent of stable mate Mortal Kombat and gameplay modeled after the classic arcade titles of the 1980s. 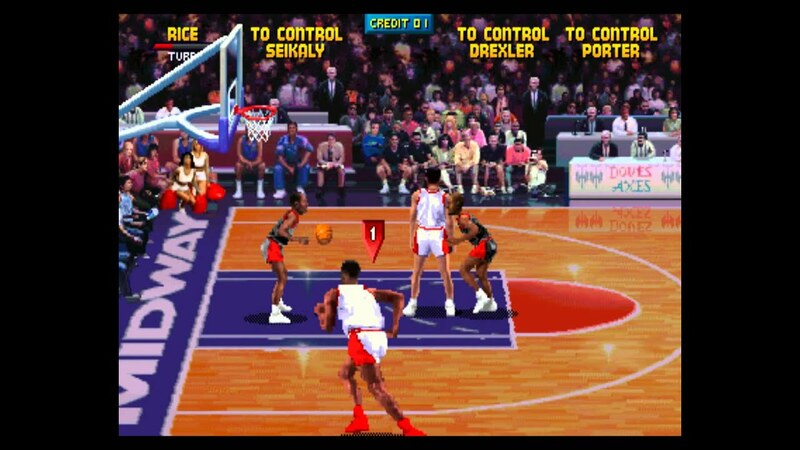 Basically, NBA Jam was an arcade experience par excellence and it happened to come just as the industry was dying in the transition to home consoles and PC gaming as the preferred modes of gaming. But the true magic of NBA Jam was in its ability to inspire competition among players in a market overrun with fighting games. Standing out in the arcades during this era was tough because Street Fighter II and Mortal Kombat tended to be the only games in town that mattered. NBA Jam never really displaced these games but it offered an alternative to gamers sick of the fighting game mania that dominated arcades in their later years. 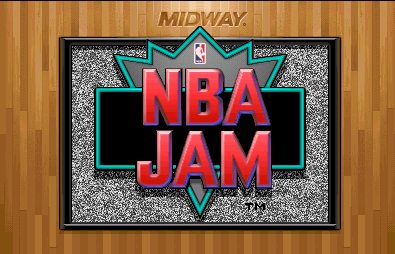 The games use of bright, colorful graphics, loud sound and music, plus the addition of celebrities helped to give NBA Jam an aura that drew players in and had them chucking quarter after quarter into the machine. From a corporate standpoint, the combination of NBA Jam and Mortal Kombat made Midway a powerhouse in the arcades and this translated into the home console space as well. The home versions of these games were so popular, in fact, that it inspired the formerly Arcade-only Midway to open up a home console development studio so it could bring its arcade titles to home consoles itself. Later games such as WWF Wrestlemania: The Arcade Game and NFL Blitz owe a lot to NBA Jam in terms of how those games were conceptualized and designed for the arcades. Wrestlemania, in particular, borrows a lot of NBA Jam’s off-the-wall mechanics and flourishes in an experience that is both a quintessential arcade experience and a home console wrestling game at the same time. Like many series, NBA Jam has since fallen to the wayside and has received little in the way of serious efforts at a relaunch. Part of the reason for this is the decline and death of the arcades coupled with more robust experiences in the sports gaming market. While the gimmicks of NBA Jam were fun, they could tend to lead to shallow experiences – a marker of their time and less a mark against the games themselves. Given the number of options gamers now find themselves facing, an NBA Jam title would struggle to stand out even with a modern take on its zany gameplay. But that isn’t to discount its importance in the arcade scene and, in particular, as a final flourish of the dying niche that now only exists as a side amusement and not as a pillar of gaming.